In simpler terms, the Iranian embassy also described the visit as “provocative”. 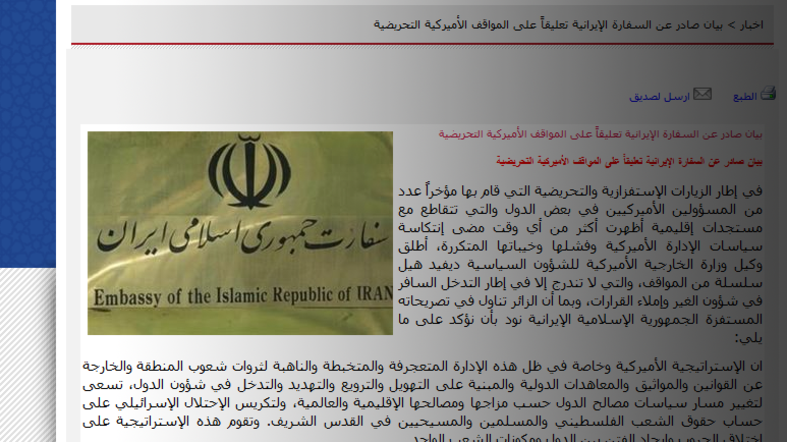 The Iranian statement went on to boast Iranian-Lebanese cooperation. “The Islamic republic will not spare any effort to cooperate with the valiant Lebanese government and military, and the prideful resistance,” the statement read. “It’s unacceptable to have a militia outside the control of the state and unanswerable to all the people of Lebanon, digging attack tunnels across the Blue Line into Israel, or assembling an arsenal of over 100,000 missiles with which to threaten regional stability,” Hale said.